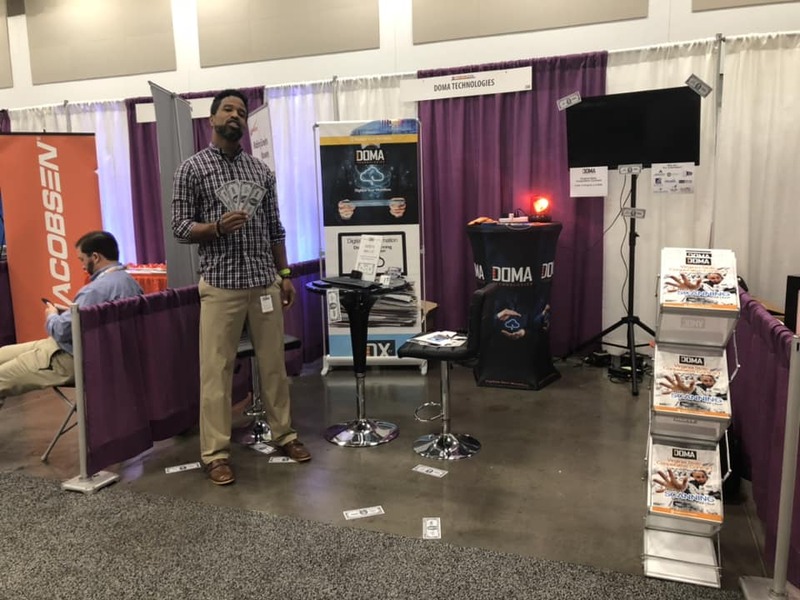 Virginia Beach, VA – The week of October 23rd – October 26th DOMA Technologies attended 2 events at the Virginia Beach Oceanfront. The events included the Public Procurement Forum on October 23rd hosted by the Virginia Department of General Services. The Department of General Services is comprised of one hundred professionals of state leaders and Commonwealth public bodies who are there to help identify, source, acquire, and deliver the highest quality of good and services that meet their needs. The Public Procurement Forum is hosted to help suppliers connect with the state government to contract more efficiently. The VAGARA Annual Conference on October 24th-October 26th hosted by Virginia Association of Government Archives and Records Administrators (VAGARA). VAGARA’s members are affiliated with the state or local government who are concerned with management, storage, maintenance, retrieval and disposition of public records. The conference is held to connect suppliers to state and local government to help them meet their needs and provide solutions. DOMA Technologies sponsors the conference every year.